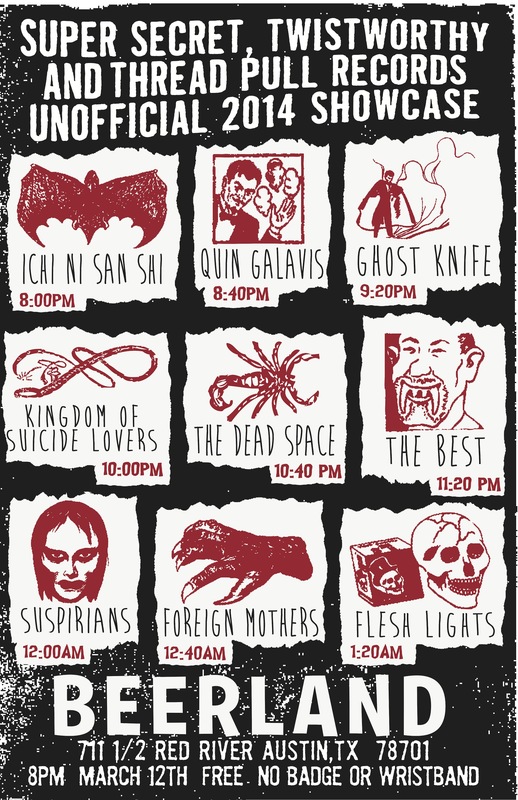 TWISTWORTHY RECORDS SXSW 2014: FLESH LIGHTS, THE BEST, & GHOST KNIFE! I'm happy to announce that we'll be doing our thing again at SXSW this year, again sharing the show with friends Super Secret Records and Thread Pull Records. Twistworthy Records will be represented by FLESH LIGHTS, THE BEST, and GHOST KNIFE. Stoked! Like always, this is a FREE show with no wristbands or badges needed. The Best "King Of The Underground" in an episode of SHAMELESS last night, on Showtime! While most people were busy watching the Superbowl or the Puppybowl last night, the show SHAMELESS was on Showtime and included the song "King Of The Underground" from The Best 7", on Twistworthy Records! Check out a clip from the show featuring the song, HERE . And, if you missed picking up The Best "Black Triangle" b/w "King Of The Underground" 7" single, it is still available for listening and/or purchasing, HERE, or find it in our webstore! 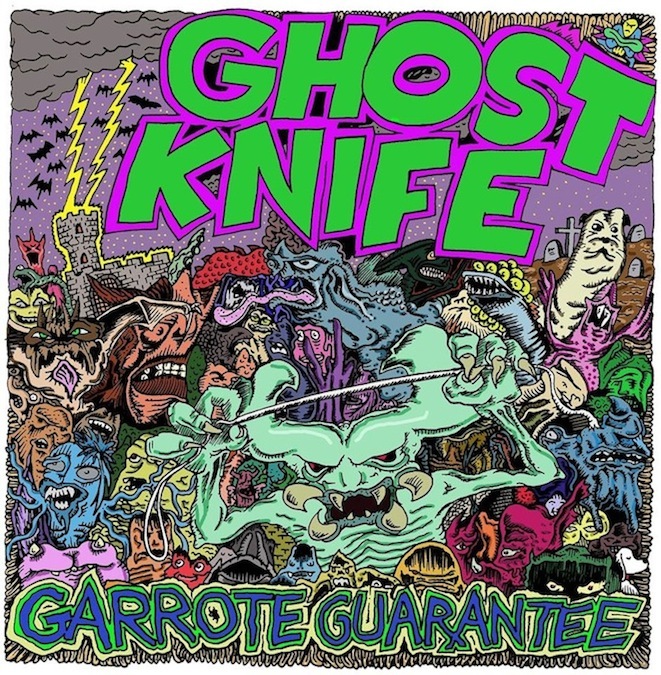 New upcoming release: GHOST KNIFE "Garrote Guarantee"- 7"
I'm excited to announce that Twistworthy Records will be releasing a new 7" by the Austin band, GHOST KNIFE! If you're unfamiliar, Ghost Knife is Mike Wiebe from the Riverboat Gamblers/High Tension Wires on guitar/vocals along with Ben Snakepit & Chris Pfeffer (who previously spent years together as the rhythm section of J Church) on bass and drums respectively. These new songs of theirs are so incredibly catchy that I can't get them out of my head! Featuring full color artwork by Ben (who people might also know from his autobiographical Snakepit Comix or his regular contributions to Razorcake Zine), this new four song 7" will be released in early 2014, and will be Twistworthy Records release #18. This should be fun! Come out! TWISTWORTHY RECORDS new release: FLESH LIGHTS - 7"!!! TW-17: FLESH LIGHTS "No Longer" b/w "You Don't Know" 45 rpm 7"
With a full length LP/CD, multiple singles and a handful of compilation tracks in the rear view mirror, Austin's FLESH LIGHTS are a band that most everyone should now be familiar with (unless you have been living under a rock - or in some dreadful place, like Idaho). 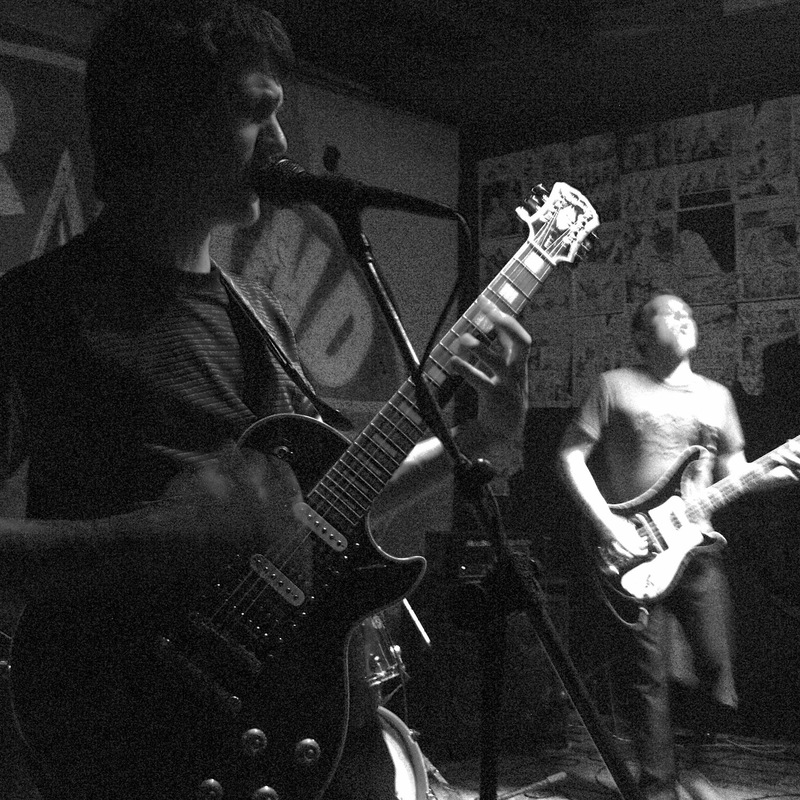 They've toured the country multiple times (including tours with THE HIVES and FIDLAR), played insanely memorable SXSW shows (see: Beerland patio day show 2012) all while continuing to progress and grow as a band. Twistworthy Records is excited to announce the latest record in their series of great releases! This new 45rpm 7" single was recorded while on their most recent west coast tour by longtime friend and confidant, Mike Vasquez, at the recently relocated Sweatbox Studios. "No Longer" is a punk/power pop gem, masterfully lead by guitarist Max, while "You Don't Know" puts bassist Jeremy in the forefront for a swagger-filled tune that will get stuck in your head for days. Both songs have been fan favorites and mainstays of their set from the past year, and is their first vinyl release since their well received "Too Big To Fail" double 7". This new single will be the third Flesh Lights release on Twistworthy Records, marking a return to the label after equally excellent releases on both 12XU and Super Secret Records. Pre-orders will be announced soon, including a limited edition colored vinyl option. TW-10: FLESH LIGHTS - "You're A Stealer" 7"